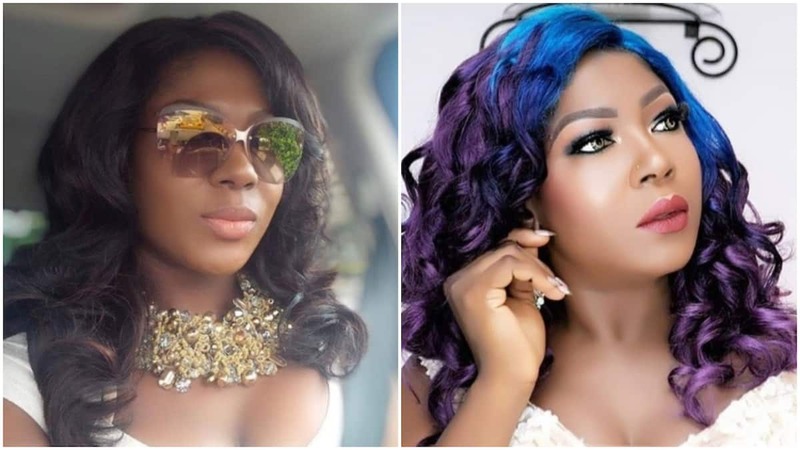 Nollywood actress, Susan Peters has taken to social media to speak out against the colourism going on in the Nigerian movie industry. It is no news that skin colours often determine how far one can get, especially in the Nigerian entertainment industry. Ebony Nollywood actress, Susan Peters appears to have had enough and is speaking out against it. She recently took to her Instagram page to speak on the issue of skin discrimination in Nollywood and how the industry frustrates people to the extent they bleachs their skin. She however maintained that she had no plans of touching her skin colour. She wrote: "In a world and industry where dark skin is seemingly a crime, where I am told kaiii you black sha, like am supposed to give up this skin God blessed me with. They frustrated some to bleach their skin, oh well... Good luck with that, I love my BLACK AND IT'S GOLD. #ifyoucantbeatthemjustjoinusandhavepeace"
The singer was called out by the model who took too Instagram to detail how she was allegedly rejected by the Pana crooner because of her dark skin on the set of his music video. The model then revealed how she walked out of the set in anger.